The Beverage Air UCF20HC undercounter freezer has a stay-open feature that keeps the door open past 120 degrees for staff to load new product into the cabinet or thoroughly clean the interior. The door also has a self-closing design that is convenient for users and keeps cold air inside the cabinet. Temperatures in the unit stay at or below 0 degrees Fahrenheit, and since the refrigerant used is R290 hydrocarbon, less energy is used than traditional refrigerants. 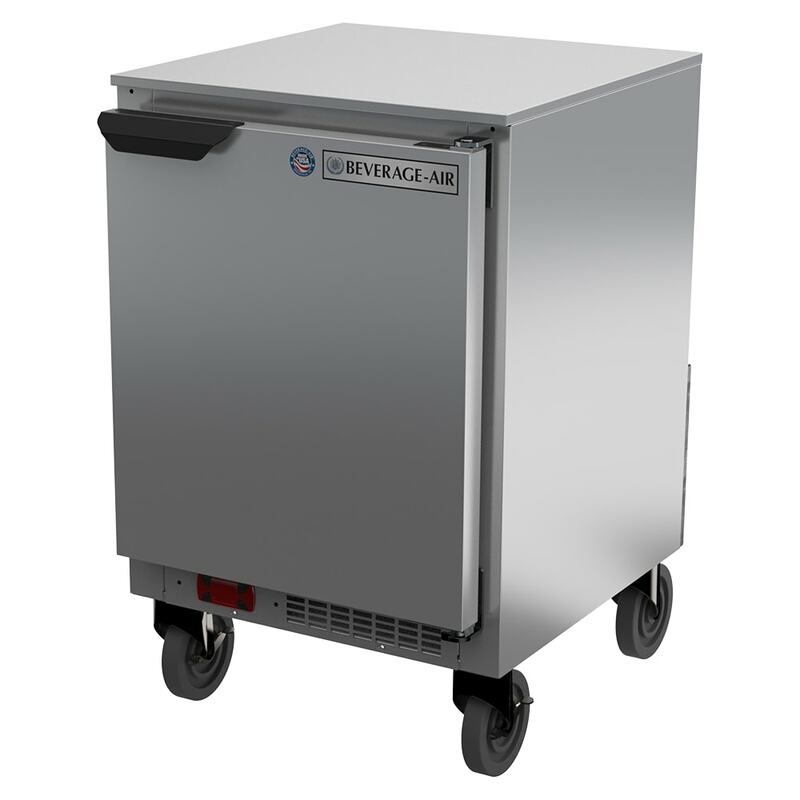 There are two epoxy-coated shelves inside the Beverage Air UCF20HC undercounter freezer, and it has a corrosion-resistant, heavy-duty aluminum interior lining.